Our Sweet Love Story: A Very Special Gift! So we had a truly wonderful day today. 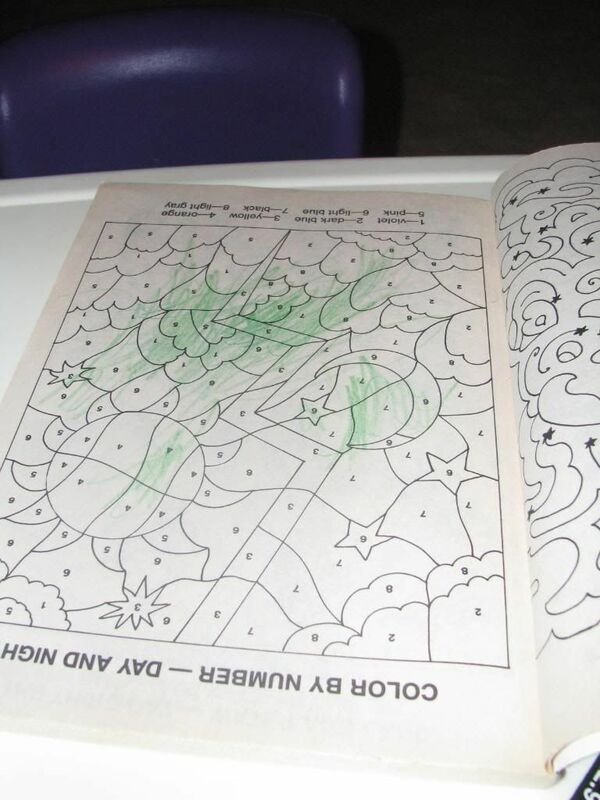 At church, we heard another sermon in the "What Child Is This?" series about Jesus's appearances in the Old Testament before he was born in the manger! Today, we heard the story of Abraham and Isaac and how Jesus appeared to stop Abraham from sacrificing his son on the altar and provided him a sacrifice instead. Jesus is "Jehovah-Jireh" meaning "He will provide." Then, we proceeded to finish our Christmas shopping because apparently my OCD tendencies will not allow me to wait until the last minute! When we returned home with a very tired boy who was in need of a nap, we saw a little kid's table and chairs sitting on our front porch! I was like "What is that? Looks like a little elf left us something!" We pulled into the garage and got out of the car, and Eddie went around to the front porch to check it out and see if there was a note. At about the same time, I see our neighbor (another Eddie) coming across the yard grinning. I said, "Are you the little elf?" He said he was cleaning out his son Zach's old toys and thought we could use the table and some books for Evan. Zach is 6, and Evan loves playing football with him! 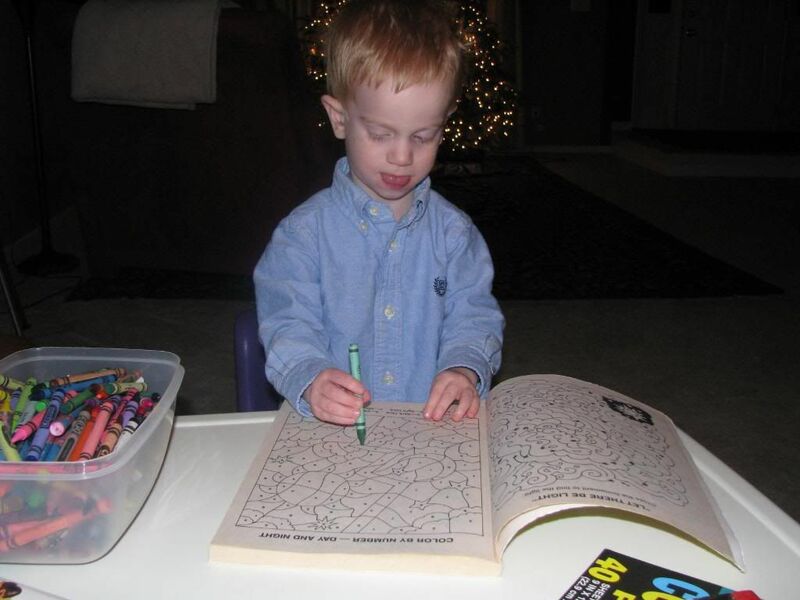 Now, we have been wanting to purchase a little table and chair set for Evan to use for snacks and craft time for a while and had planned to buy him one for Christmas but had not yet done so. 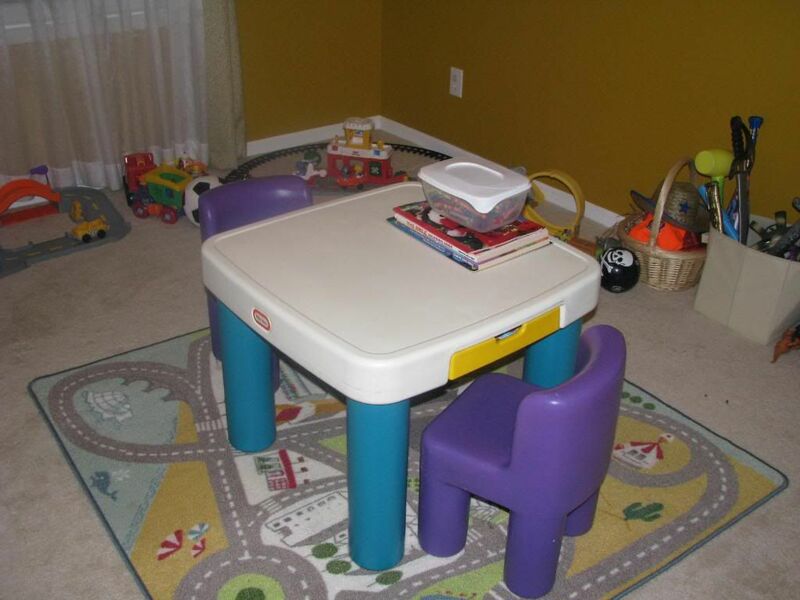 The table was one of those cute, sturdy "Little Tikes" tables and just fits perfectly in his play room! I contemplated all this kindness and just thought it went perfectly with the sermon today about how God provides for us when we are faithful to him. He wants to help us fulfill the dreams He has for us, but He doesn't want us to put those dreams ahead of Him! You know he's concentrating hard when that tongue is out! His first masterpiece at his new art table!